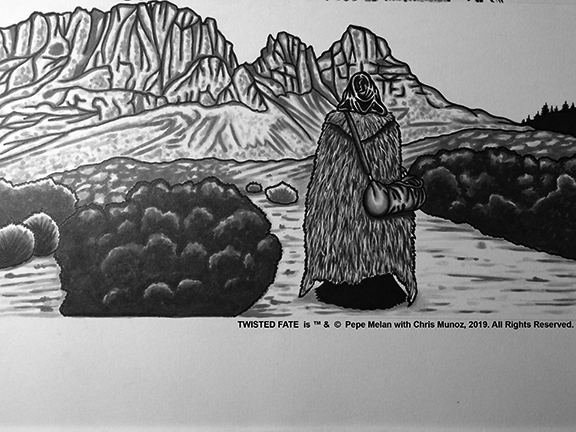 The last page of of inking and toning for my indie comic magazine Unique Real Illustrated Issue #2 featuring Twisted Fate is all finished up. 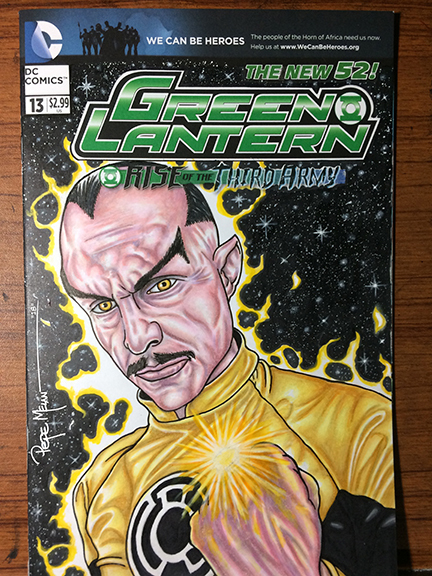 Now on to scanning, adding digital effects and the lettering stage of production. 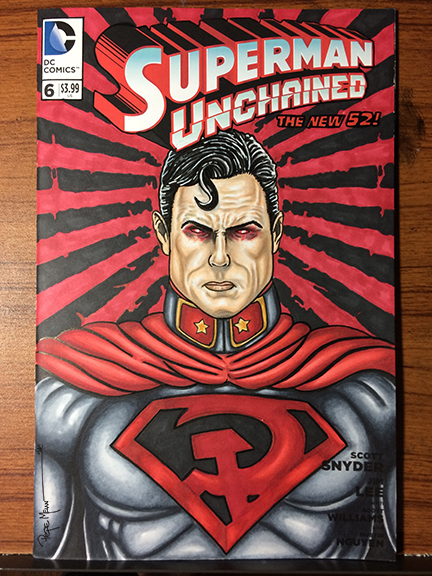 Here is the finished up Superman Red Son Sketch Cover. 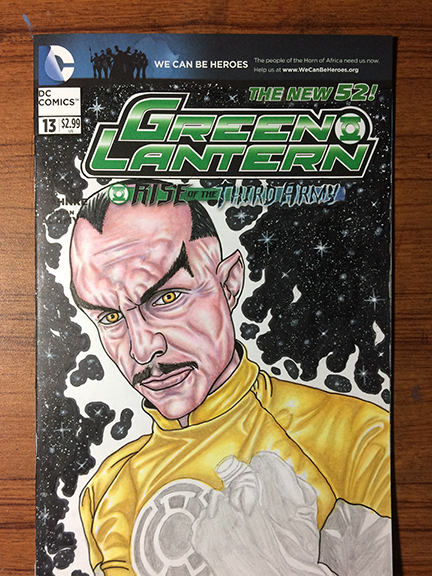 The artwork was rendered with Copics, Faber-Castell artist pen, uni-ball Signo Gel Pen, and to achieve the heat vision glow I used Liquitex. 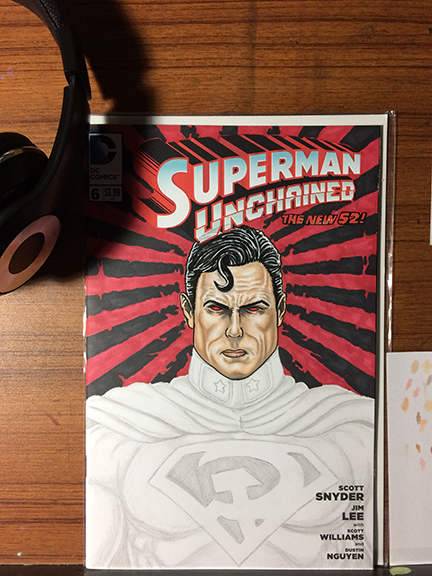 Here’s a progress shot 1 of me adding color to this Superman Red Son Sketch Cover. Tried something different with the background this time. I used the Tom Holtz Collection Rays Stencil to help with the background. 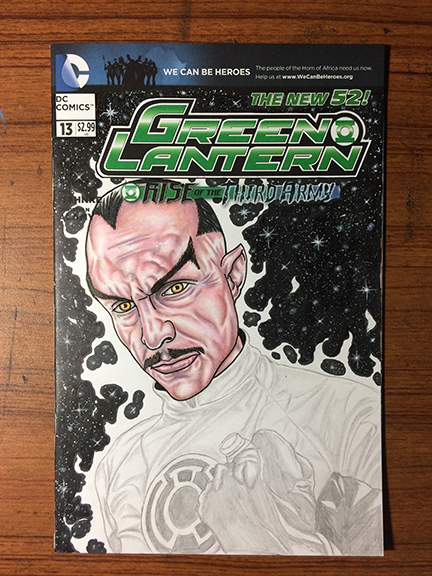 I like the effect and will try again with a future sketch cover. The coloring is rendered with Copic Markers. For the highlights in the hair I used a uni-ball Signo broad white gel pen. Remembering my life hero today! Prince has had a profound impact on my life in so many ways. When creating my personal artwork or working on commissions, Prince is a huge part of my creative process. Listening to his music helps to fuel my creativity. I remember discovering his music during Junior High School. The Controversy Album was out at that time. I listened to it and has hooked instantly to his purple punk funk music. I’m definitely blessed to have seen him in concert many manny times! This year I have an Art Gallery Exhibit currently running and couldn’t think of a better exclusive piece to create than the combination of comic books and Prince, two of my favorite influences in life. 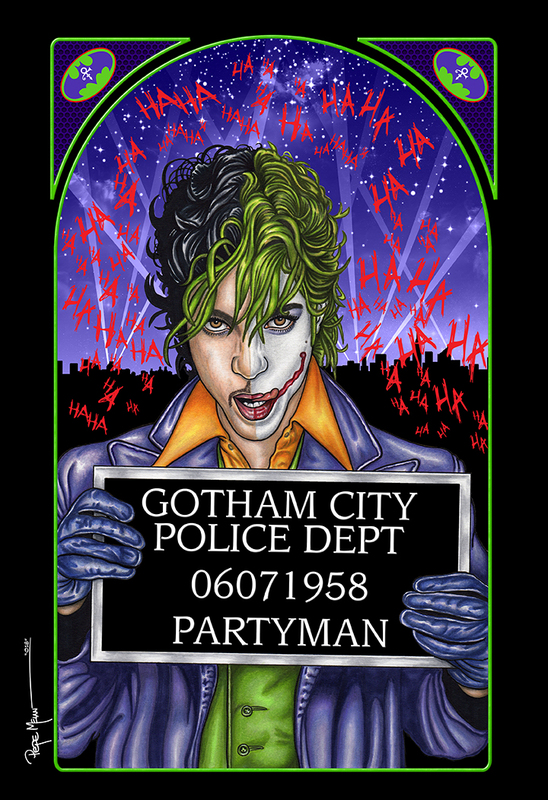 Here is one version of Partyman 2.0 created in honor of my life hero! 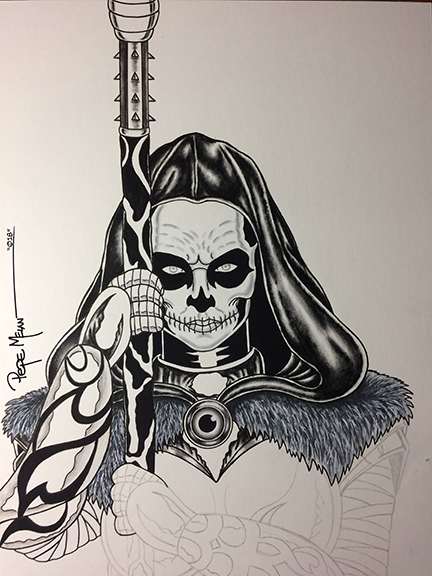 Here’s the beginning inking/toning Nyx cover progress shot 2 for Unique Realm Illustrated Issue #2 featuring Twisted Fate. My inking/toning process is achieved using a combination of Liquitex Paint, Faber-Castell PITT Artist Pens and Copic Gray makers. 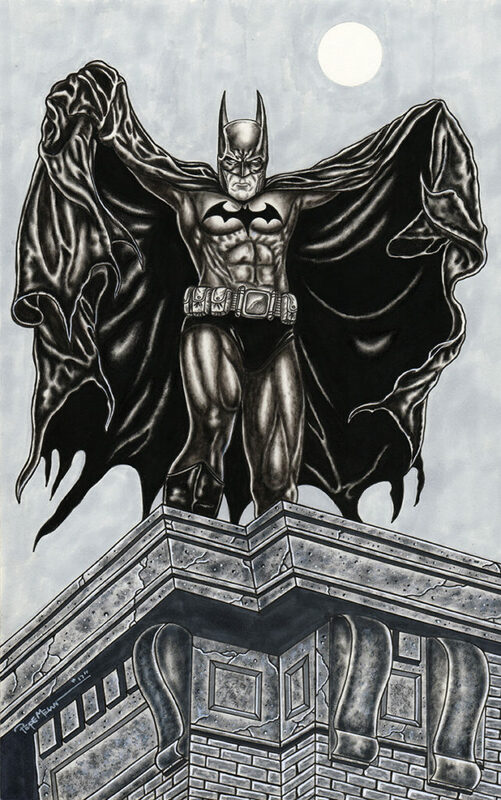 Here is a Batman commission I recently finished up. Its always and honor to be asked to illustrate piece that is a gift. I’m very excited that its on its way to its new home. It was rendered with Liquitex and Copics. 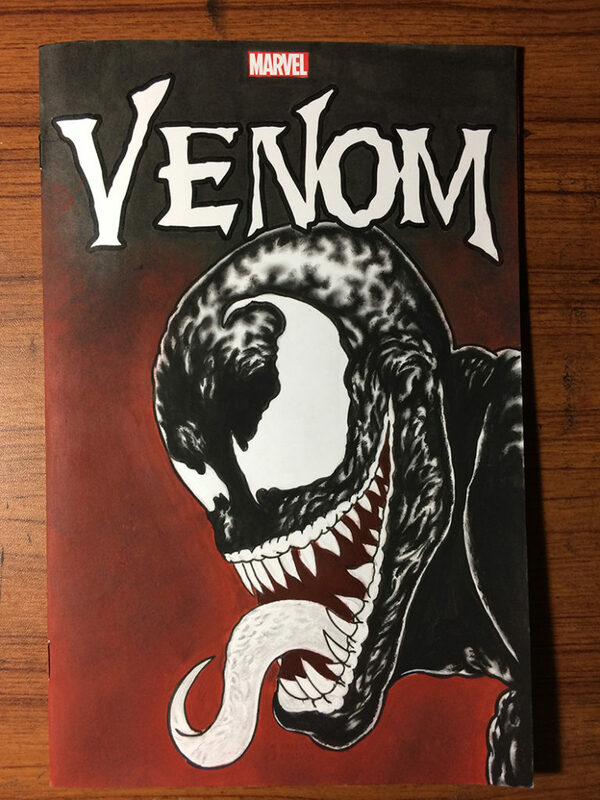 Venom sketch cover painting is underway. This is progress shot 1 of my painting progress. It’s mix of Copic Markers and Liquitex paint.